I met my good friend Dr. Raul Ramirez several years ago while training with Billy Robinson. Also a Licensed Acupuncturist based in Culver City, Los Angeles, Dr. Ramirez translated most of the oldest Acupuncture textbooks in existence, the Huang Di Nei Jing. Later he wrote a dissertation on the treatment of inflammatory disorders using the protocols described therein. This work earned him a Ph.D. in Eastern Medicine. In addition to his work in Traditional Eastern Medicine, Dr. Ramirez has devoted a great deal of his life to martial arts. He has studied Sanda (Chinese Kickboxing and Wrestling) in Bejing, China and Bangau Putih Silat in Bali, Indonesia. He is also well studied in the internal martial arts of Ying Yang Palm and Liu He Ba Fa. Additionally he has experience in Sumo Wrestling, Brazilian Jiu-Jitsu and Catch Wrestling. Not only has Dr. Ramirez come down to train with me at my private studio in San Diego many times, but he’s been nice enough to teach both myself and my private clients some awesome techniques from Sanda (Chinese Wrestling and Kickboxing). I recorded the following interview one evening when Dr. Ramirez and I sat down for several hours and talked Martial Arts, Catch Wrestling, Acupuncture, Chinese Medicine, and a host of other awesome topics. I got the full story of Raul’s experiences while training abroad, and some real expert insights on the Huang Di Nei Jing the oldest Acupuncture textbook written around the end of the Warring States Period (475-221 BC). Without any more introduction here is the first installment of my interview with Dr. Raul Ramirez. Sam: To start out, how about if you fill us in a little bit on your martial arts background. How you got involved in training? What interested you in it? Dr. Ramirez: Ok I guess probably just from watching movies as a kid I got interested. I grew up in the Palm Springs area, there wasn’t much training out there so when I moved to L.A. I started in Karate. My sisters friend was a black belt in it so I started a little training there. In my university, while pursuing my undergraduate degree, I had to take a class in Tai Chi from there I just got really into the Kung Fu stuff, Chinese Kickboxing and Wrestling mostly. Then around 1999, with my teacher at that time, I had an opportunity to go to China and study at the sports university in Bejing for a month. Sam: What was the training like in China and what did you do there? Dr. Ramirez: It was really awesome, at the University in China you can actually major in any sport. It’s where all the olympians go so not just martial arts, but swimming or anything can be made a full-time study. I was there as the 2000 olympics were approaching so all the students there were very high level. Basically the training was 6 hours a day 6 days a week. Sam: What would a typical day be? Dr. Ramirez: Up in the morning and a morning training session, in between or before the next training session would be a strength and conditioning session, then an afternoon training session, in the evening they would usually do pad work or sparring. Sam: Sounds like a brutal schedule? Dr. Ramirez: I was having so much fun and excited about everything I was learning I really didn’t mind it much. I did wrestling in the morning for 3 hours and kickboxing in the afternoon for another 3 hours. Sam: So is this how you started studying the language? Dr. Ramirez: Yes at that time I really didn’t know any Chinese, I had a friend translating but he would get tired and so I decided I would really have to learn it. Sam: What’s the correct names for the martial arts you studied in Bejing? Dr. Ramirez: Kung Fu has a really old Wrestling Style call “Shui Jiao” it’s basically their wrestling sport. It has a gi top but it’s short sleeve, so it’s kind of like Judo but you are not wearing a full gi. It’s also sometimes called Kuai Shuai which literally means “fast wrestling”, the kickboxing is Sanda some people will also call it San Shou and it also employs the use of takedowns and the wrestling techniques so in many ways the wrestling is just a component of Sanda. Sam: I think a lot of people probably aren’t too familiar with this because usually over here in the West whenever someone mentions Kung Fu and Chinese martial arts we always think about the traditional arts that involve practicing forms, breathing and other similar exercises. I don’t think a lot of people realize that over in China there also exists a very alive, athletic, sport-based martial arts. Dr. Ramirez: I definitely agree with that. Most people just think of forms or Jet Li movies and they don’t understand or realize that the history of Kung Fu goes back over 3,000 years. People will try to claim a Buddhist relationship because of the Shaolin temple and say that all Chinese martial arts came from India, but even with Chinese wrestling it has a long heritage that has nothing to do with Shaolin. From what I’ve studied, that style used to be more like MMA and involved punches and kicks but over thousands of years it became more centered as a sport and focused on your ability to take someone down. But that’s the root of Fast Wrestling; it was at one time more wrestling mixed with striking. You have to understand over in China, even if a style isn’t that great, if the teacher knows it really well they will still reject students. They’ll say, “you’re not a good person I don’t want to teach you,” it happens a lot. Sam: That’s the opposite of here the goal in most martial arts schools is to teach everyone, to pack-out every class and get the enrollment numbers up. Dr. Ramirez: The attitude of my teachers is they’d rather let the style die than pass it onto someone who’s a bad guy. Sam: It’s like they wanted to know you’re a well adjusted / balanced person before they’d even teach you? Dr. Ramirez: Yes a lot of them feel what they have is a treasure. They know the value of it and will be selective rather than teach someone who they don’t respect or who won’t respect the style. Sam: That’s something missing in modern martial arts, the true value isn’t fully understood. I have people call up often who want to train in Catch Wrestling but just on the basis of dropping in on a class when they can. I’ll soon learn that most of them only have the intention of finding a technique no one knows to take back to some other gym that they are committed to and beat everyone with it. I always turn these people away because they are telling me they don’t respect or really value what I have to share. Additionally, their reasons for coming to me are insincere. They don’t want to learn so they themselves can become better, but because they want help in beating someone else. Dr. Ramirez: Yes, people often don’t realize the sacrifices we have made to learn. They think they can just come and take from us as it’s convenient for them. They don’t know there’s more to this and to martial arts than just fighting; that it can help you develop yourself more as a person than anything. Sam: What’s the Chinese Kickboxing like? Dr. Ramirez: The Chinese Kickboxing “Sanda” is what it’s called, is similar to Muay Thai but a lot more kicks like Ax Kicks, Spinning Kicks, plus they have all the grappling techniques and use them for defending kicks and punches. Sam: After training China then what did you do? Dr. Ramirez: I went to Indonesia a couple years later. Primarily for a cultural studies program, but while I was there I learned a martial art style developed as a guerrilla style of fighting that was used to fight off the Dutch. At least that’s what I was told by the students of it there. They said it was so successful it became a standardized style. It was really different from what I learned in China. Flexibility was still emphasized but everything had to be done on hard cement like concrete. So you had to practice different ways of falling, but on concrete. Sam: Similar to breakfalling in Judo or like the rolling one would learn in Aikido? Dr. Ramirez: Yes, but it’s all modified because you have to do it on cement so they will still do the basic jump and roll drills but even the falling they teach you it’s done a little different. After learning for a while they’ll have a bunch of people line up kneeling and you have to jump over them and roll out of it all on cement. This is all done at the beginning of class as part of the warm-up. Sam: It sounds like this would really condition the body for impact? Dr. Ramirez: Yes, they always talk about body harding conditioning the shins and wrists. Sam: How long did you do this for? Dr. Ramirez: Everyday for a month. It did help a lot that I already learned and had been practicing the Chinese wrestling and kickboxing for several years, I was able to learn a little more quickly than if I had just started without any prior martial arts experience at all. Sam: After Indonesia what what did you do? Dr. Ramirez: I continued to practice the wrestling, the kickboxing, and everything else I had learned with anyone and everyone I could. I ended up competing in a few tournaments for the Chinese Kickboxing and won my weight class here in America two years in a row. At that time, I felt very confident in what the Chinese call the external martial arts, the wrestling and kickboxing. Shortly after that I found the best Kung Fu teacher I’ve ever met. 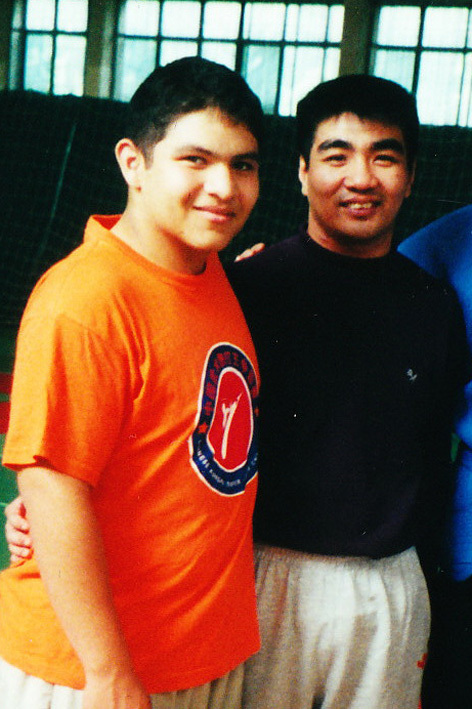 He had moved here from China and I started training with him in 2002. His style is all internal. His Kung Fu is the most authentic I’ve ever seen from anyone. Even my wrestling and kickboxing coaches in China were very good, they had lineage, their grandfathers passed it down to them and so on. With my Kung Fu teacher the intention behind all the joint locks and striking is far more devastating and not oriented towards sports, but completely for self-defense. Sam: How would you explain an internal martial art, is what you do more like Qi Gong or Tai Chi? Dr. Ramirez: Not exactly. Its more like Hsing Yi which is also a more popular well known internal Chinese martial arts style, but the style I practice is a lot more obscure and not mainstream. People who are really into the internal martial arts will know it but otherwise it’s still out of the limelight. Sam: What is this style of Kung Fu called? Dr. Ramirez: The primary style is called Lui Hu Ba Fa, Six United and Eight Methods. Often called water boxing. The main thing I learned from my teacher is Yin Yang Palm or in Chinese it’s called “western cool palm.” It goes back to some of their famous stories about the 3 kingdoms period in China. You learn it as a form, but the application of everything is eye gouging, elbows strikes, attacks to the neck throat and so forth. Sam: So you learn the martial art as a form and then later you are also taught the application of all these techniques in a realistic manner? Sam: Is this your favorite martial art or what you enjoy the most? Dr. Ramirez: In some ways…there’s more wrist and finger locks, a lot of small joint manipulation, they are very easy to do and can cause pain very quickly. Think of the traditional joint locks you would learn in Jiu-Jitsu or like an outer wrist lock or a goose neck, most of these would be considered very rudimentary wrist locks, the wrist locks go much deeper.. Most of the basic wrist locks commonly taught in martial arts can be very easy to get out of and you can quickly reverse them on someone. Sam: With all this Training in Eastern Martial Arts how is it that you became interested and involved in Catch Wrestling? I find it interesting because Catch is such a Western style. Dr. Ramirez: I did some Sumo Wrestling at UCLA and I taught a Chinese kickboxing class. We had several very good martial arts classes with very good teachers there, including a Black Belt in Brazilian Jiu-Jitsu from Brazil. We also had some very good Muay Thai teachers who had competition experience in Thailand. 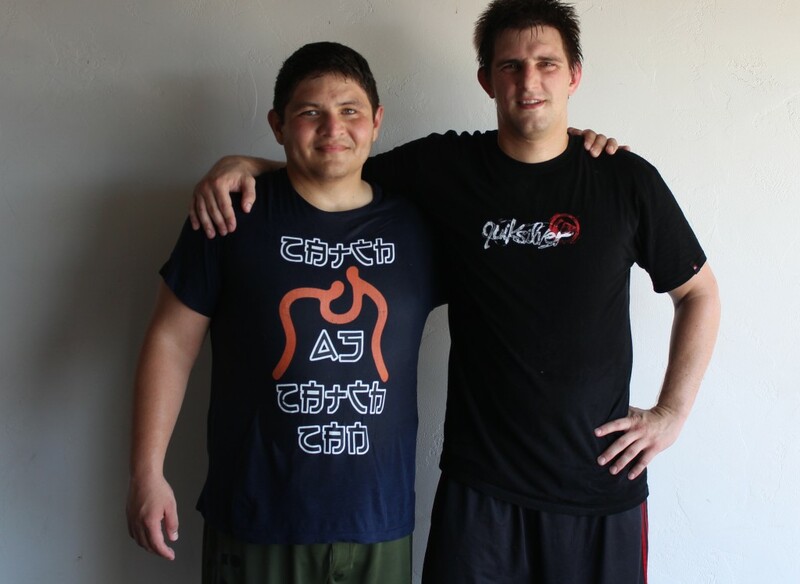 One day a three-time international champion from Bulgaria moved to L.A. and started teaching Sumo wrestling at the school. It was very similar to the Chinese Wrestling I had learned. 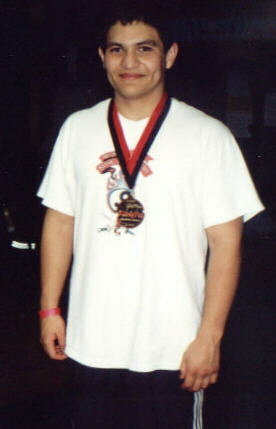 I competed in a USA sumo open tournament in 2002 and I placed 2nd. 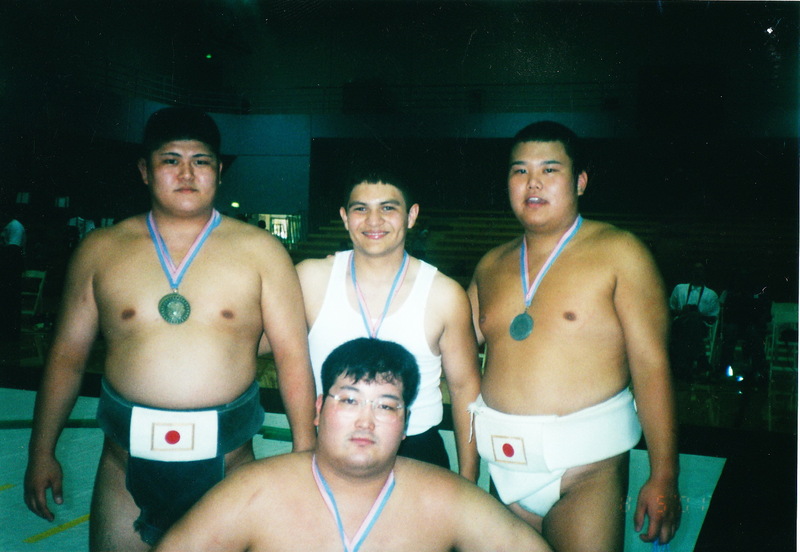 I was able to compete against a guy from Japan, Georgia, and a few other places. Sam: Really? Wow that’s awesome! Dr. Ramirez: I didn’t fully understand the rules and made a mistake in the final stepping outside the line losing the match. But at UCLA I was able to spar a lot of different martial art styles. I found that being able to control the takedown was very advantageous. I wanted to find something that had more on the ground work and mat grappling in it, but still emphasized good takedown skills. With the background I had in Chinese wrestling I was looking for something different than what has become the mainstream Brazilian Jiu-Jitsu oriented style of grappling. That’s how I found Catch Wrestling. Sam: I can understand that. I always felt something was missing coming up through Brazilian Jiu-Jitsu. I really like Brazilian Jiu-Jitsu, it’s a lot of fun but there were a lot of take downs, neck locks and cranks, leg locks, rides and other positions I really wanted to develop. Dr. Ramirez: Also I feel that if Catch Wrestling is your base you can easily integrate striking. That’s how the Chinese wrestling I did was oriented. If you wanted to do kick boxing it plugged right into the Wrestling style they taught. That’s how I feel about Catch Wrestling, it’s very easy to add the striking to it. Sam: I’ve felt that way. For quite a long time in the martial arts world there was an emphasis on striking vs. grappling to promote Brazilian Jiu-Jitsu. Today I see mainstream Brazilian Jiu-Jitsu has having really grown into it’s own sport which has been exciting to watch, but on the other side of the coin it has headed even further away from it’s self-defense application and from being taught in conjunction with striking. Dr. Ramirez: Yes even Billy Robinson mentions how with the stance in Catch Wrestling all you have to do is turn your shoulder a little, turn the hip and you are ready to box or strike. Sam: That’s right! The stance in Catch Wrestling isn’t the same as what you see in high school and college. In Catch Wrestling you learn wrestling from a more upright position that plugs right into striking. So tell me about how you learned of Billy Robinson and came to train with him? Dr. Ramirez: Just doing research I found Scientific Wrestling, and that he was teaching camps through that organization. So finally I just pulled the trigger and did it… I went out to the next camp and just trained. Sam: Yes I remember the first camp you came to it was quite a while ago now. How many times have you been back out now to train with Billy? Dr. Ramirez: I believe three times and I’m looking forward to attending the next camp. Sam: Thats great! A lot of people may not realize this but every time you go out to train with Billy in one of his weekend camps you put in around 8 hrs a day of time with him on the mat, it’s a lot of work. He’s very particular about how he wants things done. If Billy’s watching you, nothing gets past him. Billy really wants the best performance out of everyone he works with. Dr. Ramirez: Yes definitely, it’s a lot of fun, even as much work as it is I wish we could do more. Thanks for stopping by! Really happy you enjoyed it! !